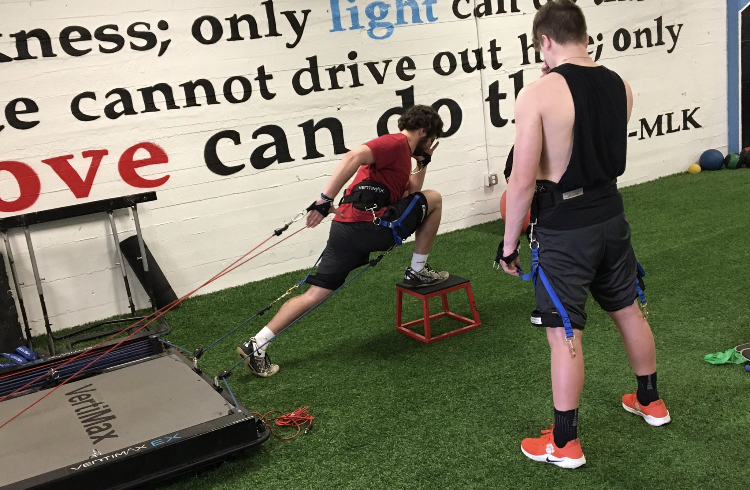 Sports Performance Training is geared towards the athlete looking to reduce his or her risk of sports-related injuries and improve all components of performance: speed, power, agility, strength, coordination, stability, and flexibility. We specialize in customized workouts that are fun yet challenging, utilizing various modes of exercise as well as training variables (rest, tempo, and weights/reps/sets). Experience the science behind our performance training program today and exceed peak performance in your sport(s). Sessions are offered 3pm, 3:45 pm and 4:30 pm Monday through Friday and 9 AM and 10 AM on Saturdays! Find the date and time you'd like to experience PTA Performance training, and hit Book Now. If it’s your first time, enjoy a free introductory class on us when you book your class and we'll give you the tour, introduce you to our staff, and be with you every step of the way. We look forward to serving you!